Social media giant Facebook is going to acquire the fast-growing mobile-messaging startup WhatsApp for 19 billion dollars in a cash and stock deal. The acquisition will be the largest among all Facebook’s acquisitions up till now and will give Facebook a strong hold in the market for messaging. The whopping acquisition price includes USD 4 billion in cash, about USD 12 billion worth of Facebook shares and USD 3 billion in restricted stock units to be granted to WhatsApp’s founders and employees that will vest over four years following the closing of the deal. According to the agreement, WhatsApp co-founder and CEO Jan Koum will join Facebook Board of Directors. Besides, there would be no change in location of the company headquarter as that will remain in California’s Mountain View. As per the deal, WhatsApp will continue to operate independently. 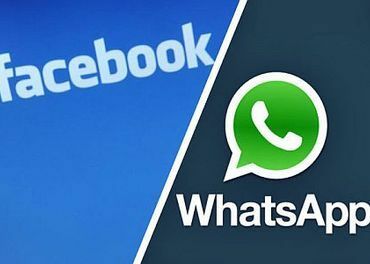 WhatsApp’s core messaging product and Facebook’s existing messenger app will continue to operate as standalone applications. WhatsApp has built a leading and rapidly growing real- time mobile messaging service with over 450 million people using the service each month of which , 70 per cent users are active on a given day. More than one million new users are added to the Whatapp network per day. “WhatsApp’s extremely high user engagement and rapid growth are driven by the simple, powerful and instantaneous messaging capabilities we provide. We’re excited and honored to partner with Mark and Facebook as we continue to bring our product to more people around the world,” Koum added.